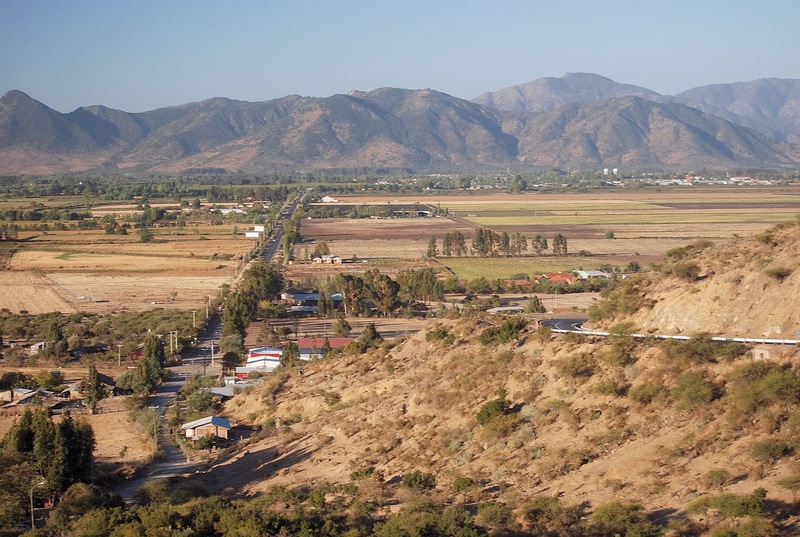 When not on fire, Chile's Mediterranean landscapes resemble California's. 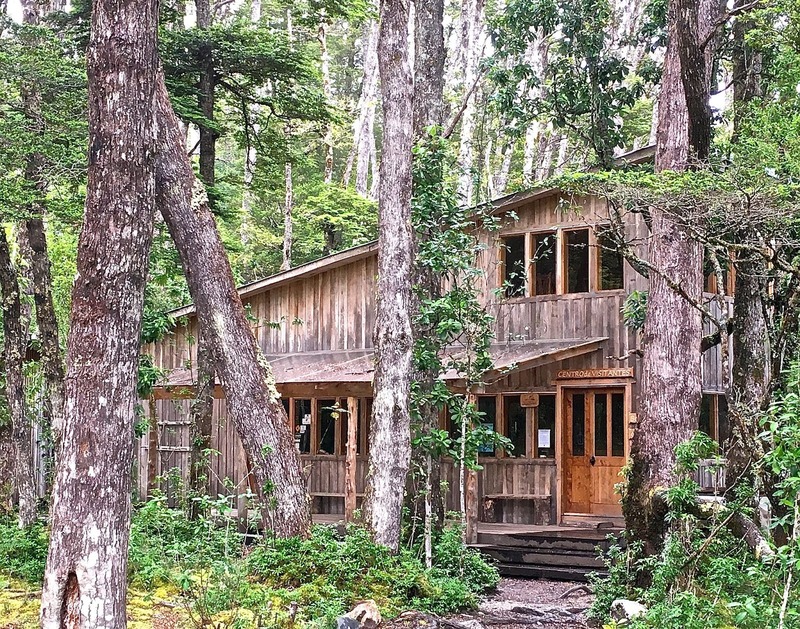 In the last stages of updating Moon Patagonia, I’ve just spent ten days in Puerto Varas, leaving my bedroom/office in a friend’s house mainly to grab lunch or, when possible, enjoy a more leisurely dinner at restaurants like Almendra or Casa Valdés. In the process, I’ve only paid minimal attention to what’s happening in the rest of Chile (and the world), but that’s become unavoidable. As I drove north yesterday, past the city of Chillán on the Panamericana yesterday, the smoke from Chile’s worst wildlife season ever became a palpable presence. 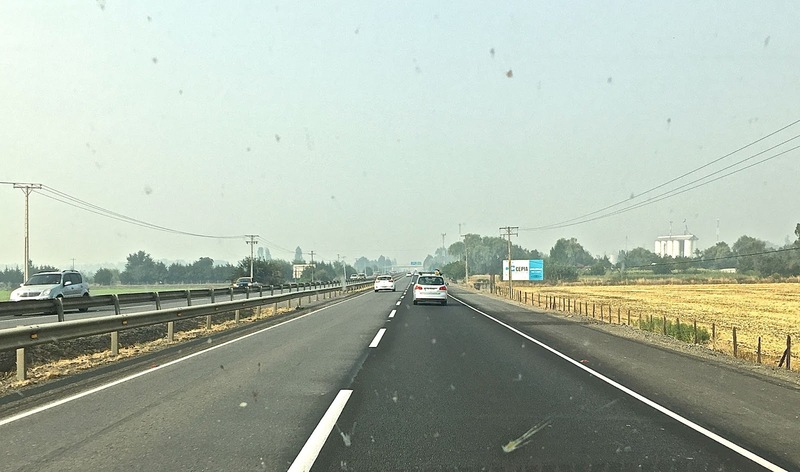 Living in California, whose Mediterranean climate is a mirror image of central Chile’s, I’m more than aware of the wildfire dangers. In October of 1991, the dramatic Oakland firestorm destroyed more than 3,000 homes—some barely a mile from our own rented house—and killed 25 people. That was at the end of a long hot summer. 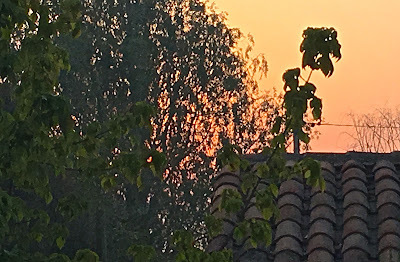 In Chile, though, summer has barely begun—normally, the warm and dry autumn months of March and April would be the time to worry. It seems, though, that at least some of the fires here are the result of arson. In the meantime, a red sun rose over Talca this morning, and my hosts here tell me that tourist traffic has fallen off in what should be peak season. 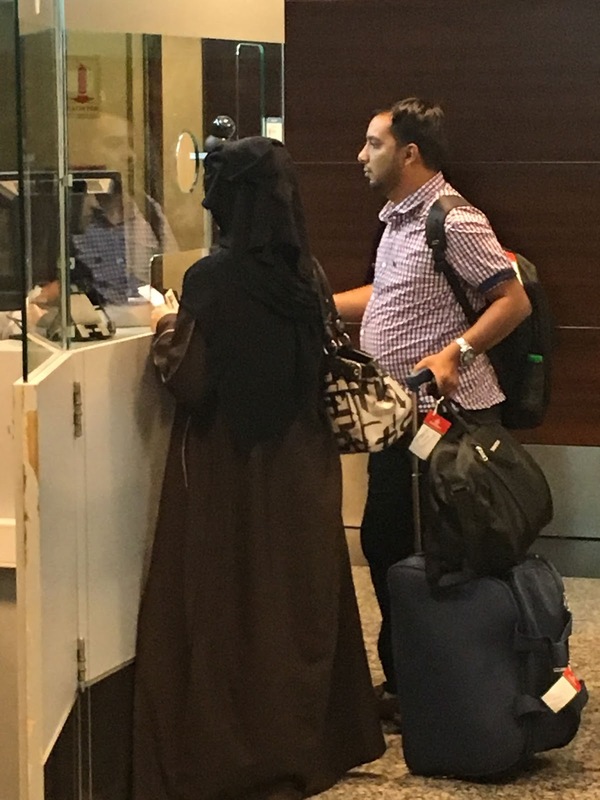 A Muslim couple go through routine immigration procedures at Buenos Aires's international airport. 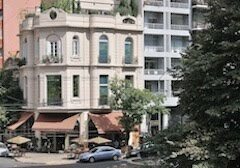 I’ll be in Santiago until Friday night, when I fly back to California to face another disaster: the disgraceful executive order from the occupant of the White House that prohibits Muslims from certain countries—even permanent residents and others with lawful visas—from entering the country. There’s been chaos at US airports and immediate resistance from civil liberties lawyers, who have obtained some injunctions against the measure, but the damage to the country’s credibility will far surpass the fire costs to Chile’s heartland. And the White House fire, we know for certain, is intentional. 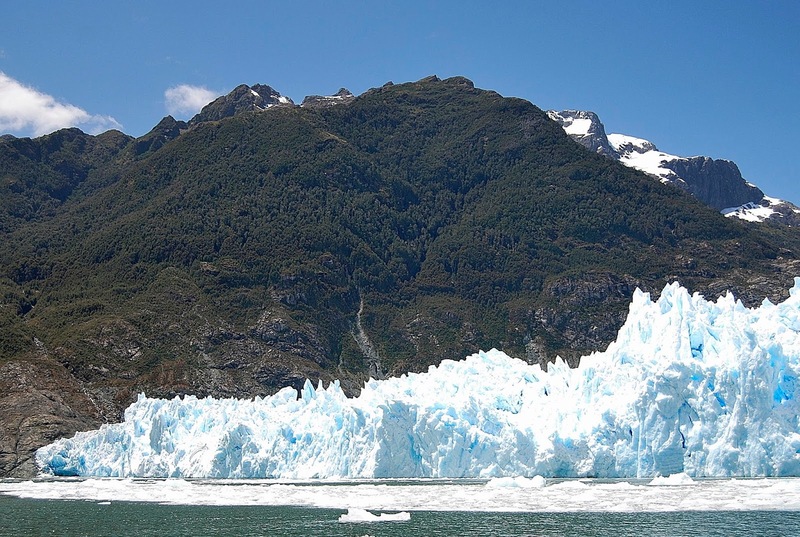 Nearly six years ago, I wrote that Parque Nacional Laguna San Rafael, where the ice meets the sea, was Chile’s least-visited national park. The reason, I argued, was that although many people see Laguna San Rafael, they usually do so from the sea, and never set foot in the actual park. 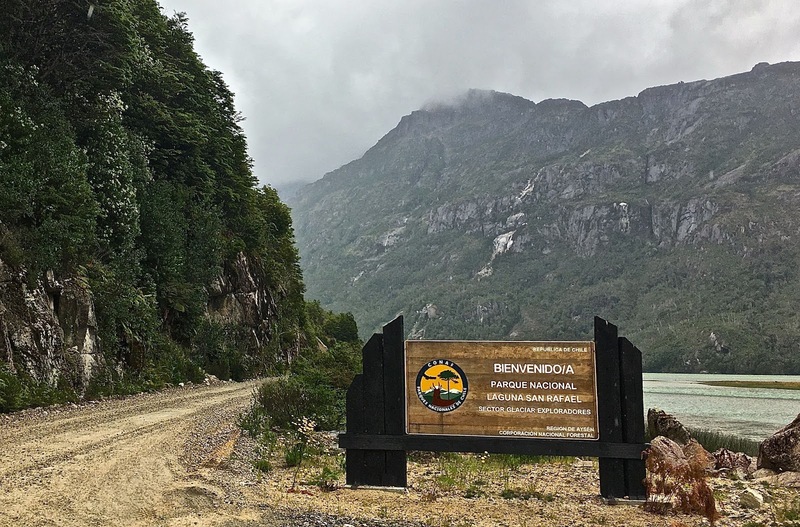 This was always a bit of hyperbole, since some remote Chilean parks like Parque Nacional Corcovado—which does not appear in any statistical summary—rarely get any visitors at all. 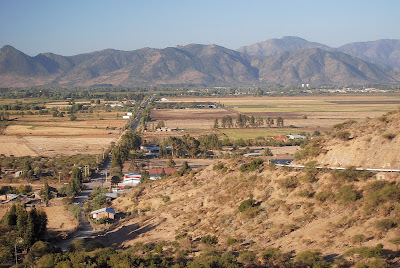 As I recently learned, though, Laguna San Rafael gets quite a few more visitors than I expected, for reasons I’ll explain in the succeeding paragraphs. Until the last few years, the only way to see the massive tidewater glacier has been via an expensive cruise or catamaran excursions, but now there’s an alternative. 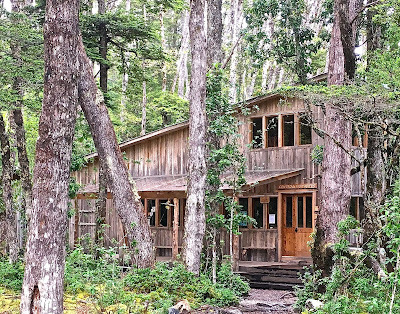 Recently, in the lakeside hamlet of Puerto Río Tranquilo, I made arrangements for a combination overland/sea excursion to the park that allows visitors to go ashore (and some to overnight in comfortable accommodations). Sadly, the next day’s weather forecast forced cancellation of the trip and, with a tight itinerary, I was unable to reschedule. 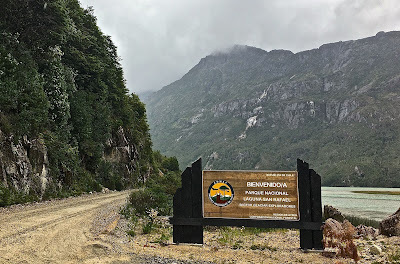 However disappointed, I decided to drive up the Bahía Exploradores road the next morning, to the point where the Laguna San Rafael excursions sail. 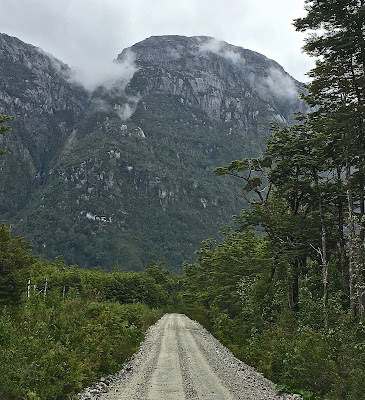 I had been up the road once before, but another twenty kilometers were now open in a stunningly verdant area where glaciers approached the road (though, on this cloudy day, they were not visible. 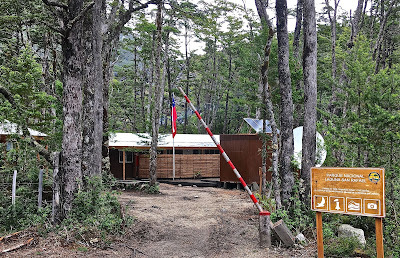 I made a brief stop at the German-run Campo Alacaluf, an isolated roadside lodge where I had stayed once before, and the proceeded up the valley past the outpost of El Puesto, a trekking company that’s built a trail to a nearby glacial overlook. 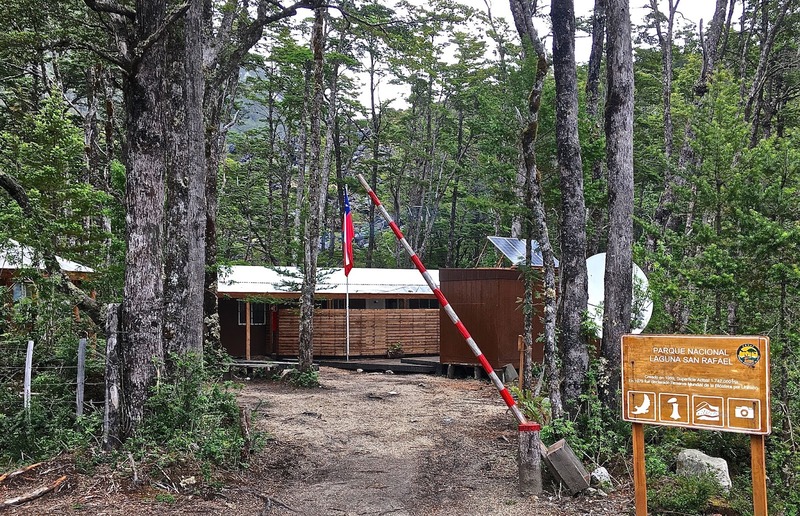 Thomas Poppitz, Alacaluf’s hospitable German owner, had surprised me with the news that Conaf, the agency in charge of Chile’s national parks, had built a ranger station along the road which, I had never quite realized, marked the park boundary. Thus, without knowing it, I had actually set foot in the park at least a decade earlier. I stopped to speak with the Conaf ranger on duty and he told me that, although Conaf does not collect a park access charge here, it does so indirectly from agencies like El Puesto because the glaciers and vicinity are part of the park. 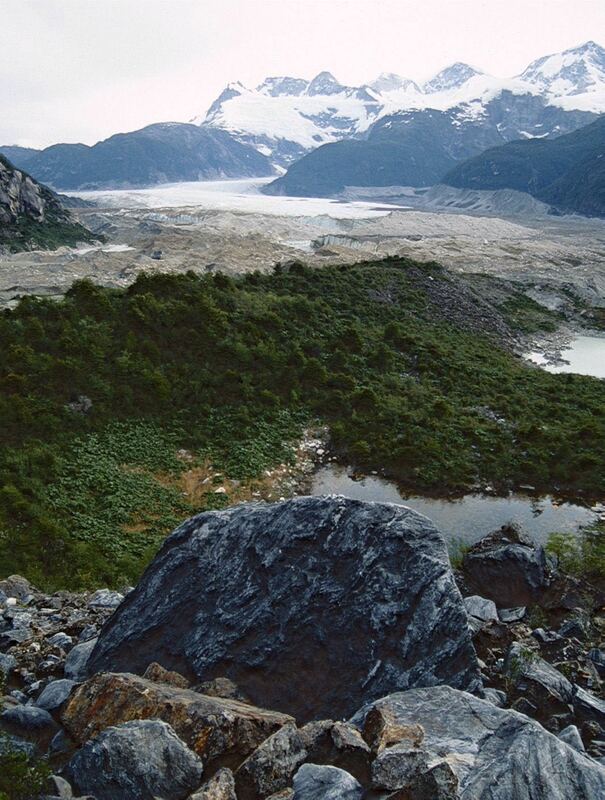 Thus, in a sense, the statistics on visitation to Laguna San Rafael (4,728 according to the 2015 survey) are still misleading, though it remains true that most people see the great tidewater glacier—still the park’s biggest attraction—from the sea. 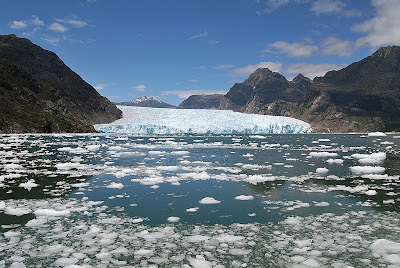 That said, I’m still waiting on the day that I can walk the trail alongside the intact ice, hopefully before it recedes too far.